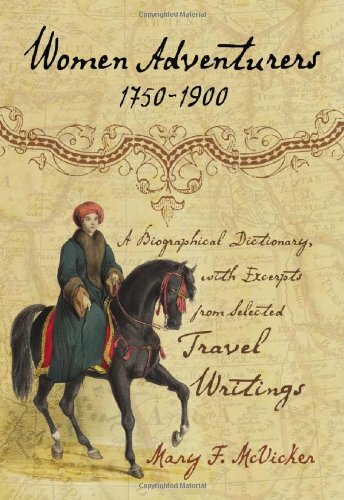 Synopsis: This biographical dictionary provides an extensive guide to prominent female travelers of the late 18th and early 19th centuries. British women make up the largest portion of the book's focus--these particular adventurers being backed in many cases by family money, scientific inquiry, and the ready availability of British sea travel. Organized alphabetically by the adventurers' last names, each entry features biographical information including the woman's family background, her educational history, and a brief summary of her world travels. About the Author&colon; Mary F. McVicker, who has degrees in law and finance, writes full-time from Oak Park, Illinois. She is also the author of Adela Breton: Victorian Artist Amid Mexico's Ruins (2005).